Not sure about the make and model of this chair lift but it seems to have seen its fair share of use. This reflects the age of the building quite well if you have an eye: notice the brown paint on either the left and right walls. Notice that it slopes down at the same angle as the stairs. 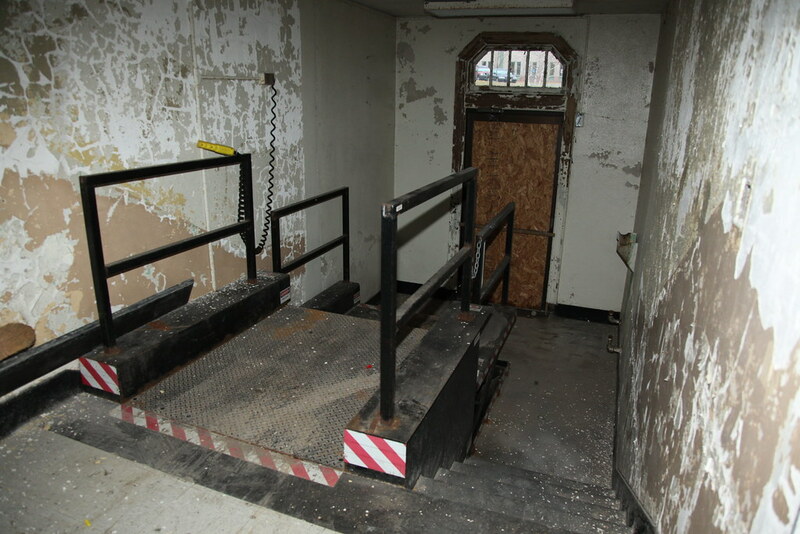 Most likely, the wheel chair lift was installed after the last time the wall was painted. At the time it was painted, the stairs went from wall to wall, and there was a banister on the wall seen here on the left.